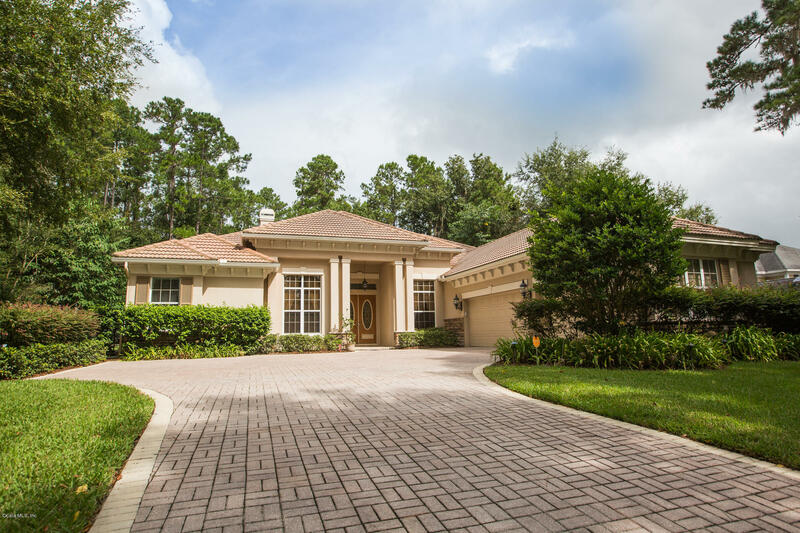 An absolute must see- this Ruttenburg built Home is 4 bedroom 4 baths that boost high ceilings with crown through out. The wide open kitchen and formal dining make for a great space to entertain,Relax in front of the remote controlled fireplace in the formal living room or take the to the air on the screed enclosed pool deck.This pool is heated with 10,000 sq ft solar panels for extended swimming time. The master has his and hers closets try ceilings and access to the pool deck.The master bath is all Luxury with its his and hers vanities walk in shower, center island and soaking tub..This split bedroom floor plan allows for plenty of quest privacy. Along with a separate home office ,this home also has a built in desk off the kitchen. 3 car garage with plenty of storage.